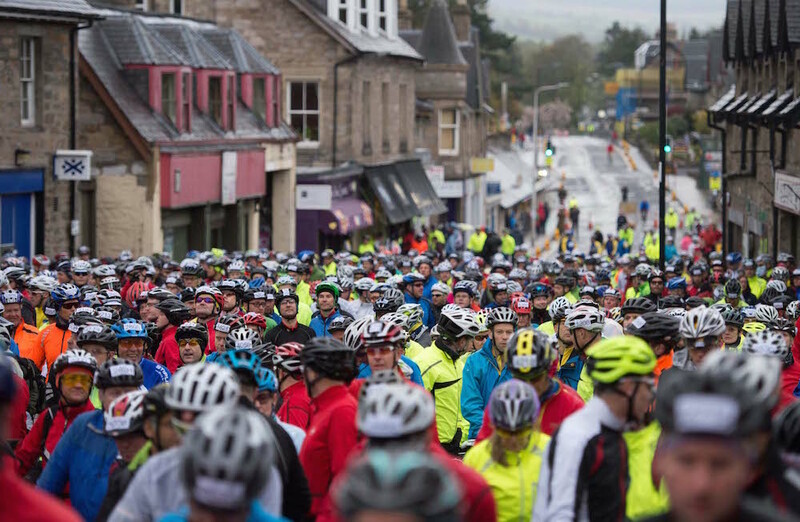 The Marie Curie Etape Caledonia brings close to 5,000 cyclists to descend on the small village of Pitlochry to tackle the 81 mile course hold entirely on closed roads. 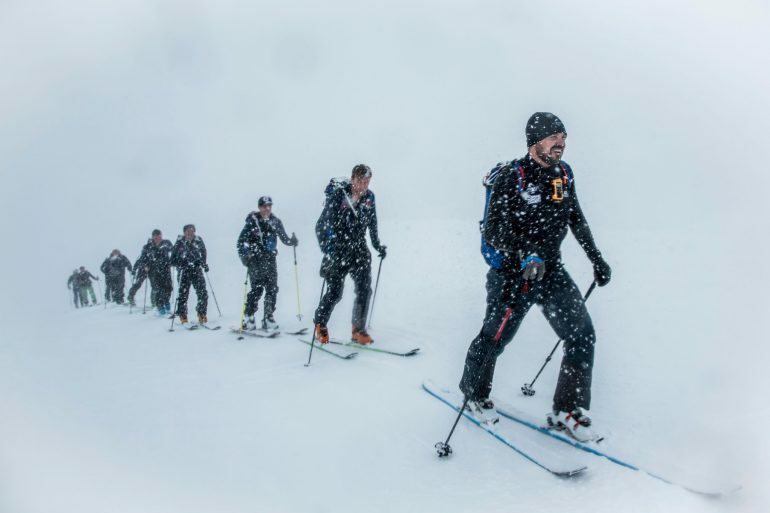 A race that is very much celebrated by the local community and despite the miserable conditions for the 2015 edition, participants and supporters alike turned out in force. 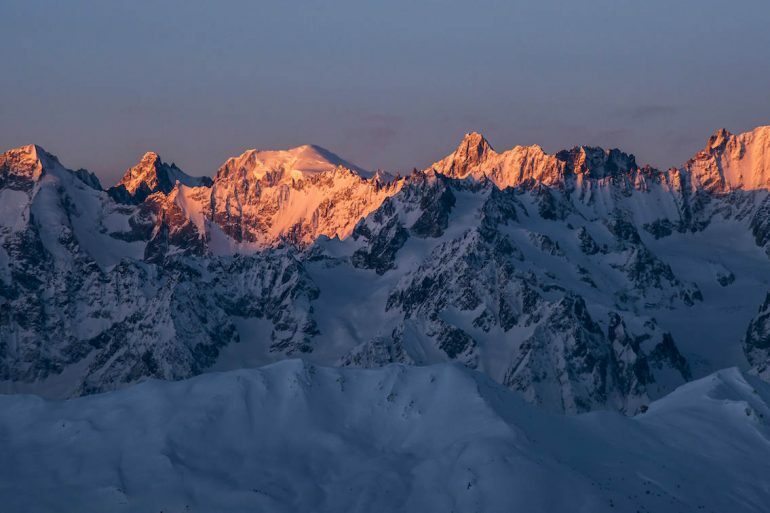 Athlete and photographer, Max Willcocks, braved the weather and set out to ride with pro cyclist Gabby Leverage (AKA @GoFasterGabby) – which turned out to be harder than he’d imagined. Despite the organisers and the riders highest hopes, the Scottish weather was it usual precious self. The Perthshire country side was a blaze of early summer sunshine to welcome the riders on the Saturday evening before the Sunday sportive. It was somewhat heartbreaking to wake up to a particularly soggy and cloudy breakfast on the morning of the ride. Weather that wasn’t set to change much and as is the case with a long ride, definitely influenced the enjoyment. It’s never a safe bet and certainly something that’s out of anyones control but the ride did become a rather cold and lamentable affaire. Even the steady rolling hills provided little warmth adding to the suffering with the impossible task of having to change gears with near frozen fingers. 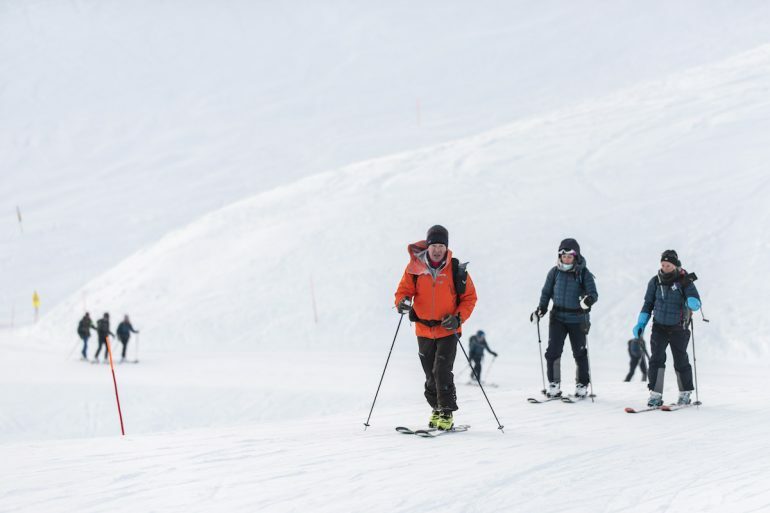 We’ve all been there, the cold depriving every one of any sort of dexterity, it was a case of handling hills in whatever gear you found yourself in. Nonetheless, amateur and high level club cyclist wrapped up and clipped in for the 6:30am start. Gaby Leveridge, who is cycling for professional team Velosure Starley Primal in the 2015 season was to be my pacer for the day. The plan was to enjoy the course and not worry about pushing the pace to much, promises that I guess it’s hard for a professional cyclist to keep. 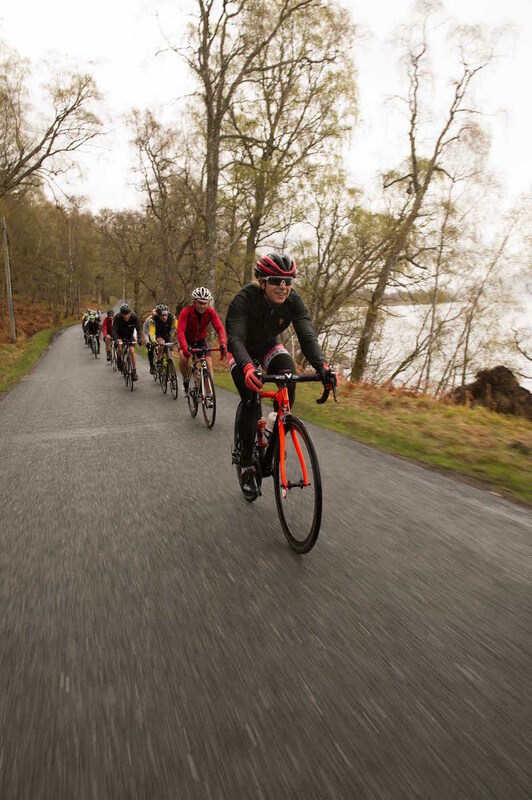 Much of the route is based around cycling next to the lochs and as a result there isn’t a huge amount of ascent – only 1,190m over the whole 81 miles. It’s the rider friendliness and the picturesque beauty of the course accounting is its main attraction. However on this particular Sunday the weather dictated a rather pragmatic approach to the event of simply ‘get it done’. I guess the usual social aspect to a sportive was out the window as many riders squinted their eyes, gritted their teeth and put the hammer down. Silence was in abundance, much like the rain. Gaby was quick to let her competitive spirit get the better of her and blasted off with some of the quicker pelotons, seeing as we had started with the first group of riders for the day. She put in enough work to collect the ‘Queen of the Mountain’ accolade for the tricky hill climb 3/4 of the way through. It seems part of the enjoyment of a ride rather than a race is getting stuck in with other like minded and equally talented riders and seeing how far you can push each other. These events may not be a race but there is always the opportunity to band together and collaborate, to put in some blistering times – something Gaby happily took advantage of, while I was more inclined to take advantage of the chocolate brownies at the aid stations. Fair weather cyclists might not have echoed Gaby’s enthusiasm but I’m fairly certain that any cyclist, commuter or professional can recognise just how special this ride is. It may not have been perfect conditions for the 2015 event but the ride as a whole is spectacular. One year it will all come together and the two-wheeled community who attend will enjoy a real treat. It’s fantastic to see such a welcoming and appreciative attitude from a local community for the everyday cycling world. And it’s definitely this open-mindedness that allows events like the Etape Caledonia to happen, thus making them as such great occasions. Put this sportive on your hit list and make the effort to get up to the beautiful Scottish highlands. But make sure you pack a waterproof just in case. The Etape Caledonia is a rider friendly course and very inviting to novices. But if you find yourself in trouble, there’s a good chance you could end up on the other side of the loch and very much in a wilderness, light years from home. Much of the course was well covered with safety crew over the first third but they become noticeably sparse as the race went into the business end. Although definitely not considered a hilly route, there are still one or two opportunities where the descent could get the better of a rider. Despite the best efforts of the race organisers to ensure there are plenty of barriers, hay bails and marshals, the wet weather and these corners are certainly worth expressing caution on. 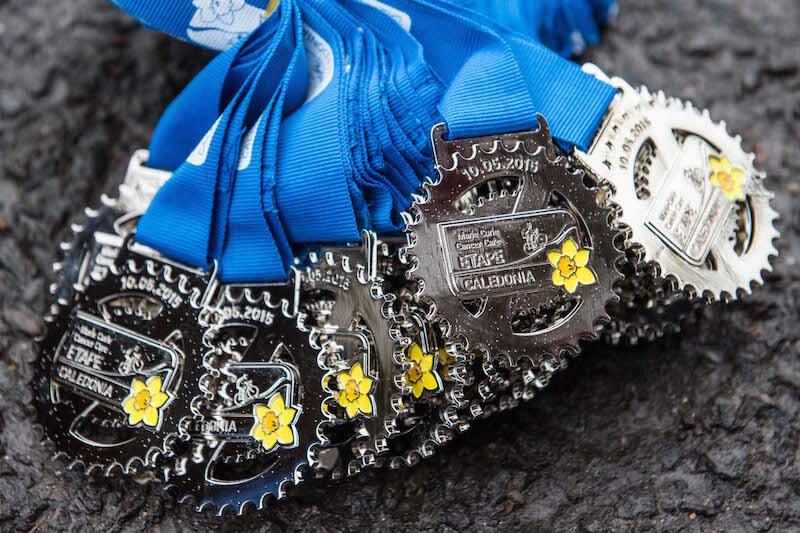 If you’re willing to travel you won’t be disappointed by this big race held in a small town. The closed roads really add a sense of security and dare I say professionalism to the ride. Sometimes there’s nothing better than riding in the middle of the road for no other reason that the fact that you can. So many different levels of cyclists turn up that you’re sure to find a group you can happily sit and ride with. 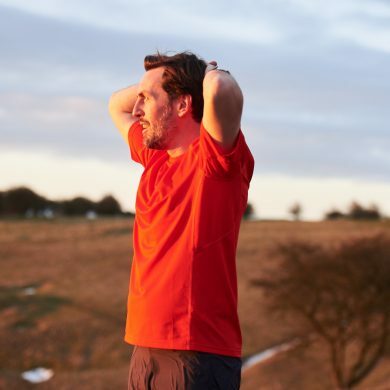 Just don’t make the mistake of pursuing an early start time because the sharp end of the field wait for no one – an unfortunate fact I found out the hard way. Pray for sunshine. 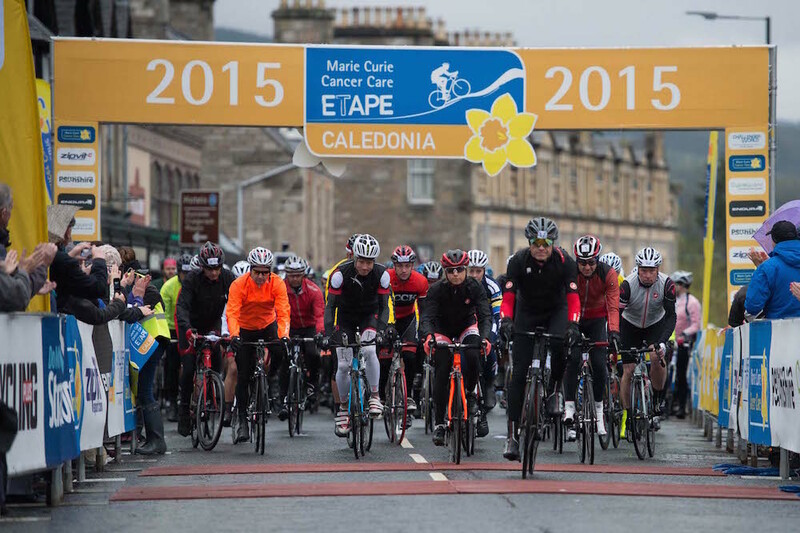 Going beyond your normal sportive, the 2015 Etape Caledonia raised £380,000 for the official charity partner Marie Curie, testament to the participating cycling public. If you’re interested in entering the 2016 event and raising money for Marie Curie, you can register your interest or keep an eye out on their website, Twitter or Facebook pages. You can see Gaby’s and Max’s performance on Strava. 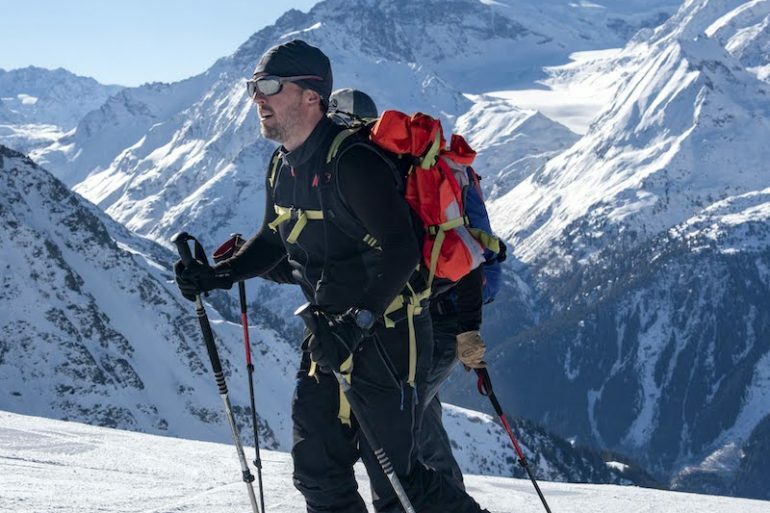 Whether it's running 100 mile trail races in Colorado or taking part in a cycle sportive, Max is happiest when outdoors, pushing himself to the limit. 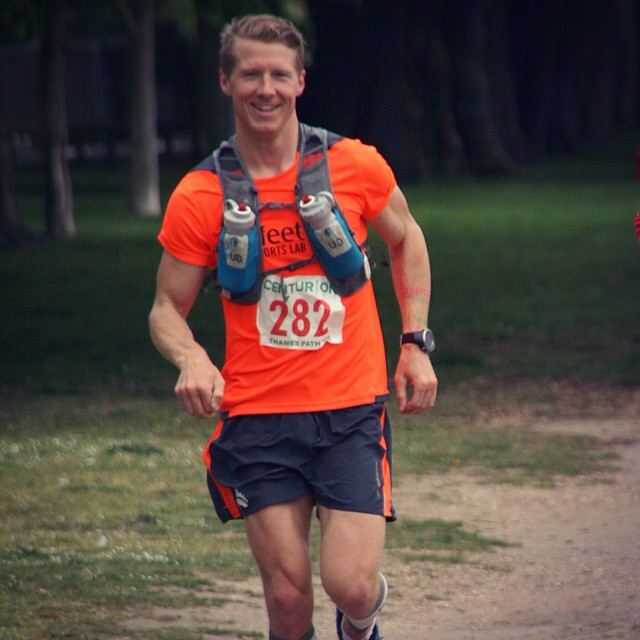 He's a contributor to Men's Running, Outdoor Fitness and many other titles.